Positive Discipline Solutions is honoured to offer the “Teaching Parenting the Positive Discipline Way” and “Positive Discipline in the Classroom” certification trainings, both developed by Dr. Jane Nelsen and Lynn Lott. We also now offer the “Positive Discipline for Early Childhood Educators” training developed by Dr. Jane Nelsen, Cheryl Erwin and Steven Foster. These trainings can be brought to your organization or are held periodically throughout the year by Positive Discipline Solutions. Upon completion of the training, participants will qualify as “Certified Positive Discipline Parent Educators” by the Positive Discipline Association . 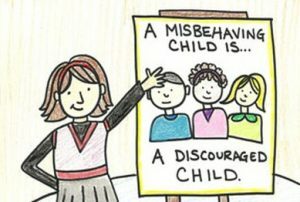 Click here for upcoming “Teaching Parenting the Positive Discipline Way” training dates. Participants will learn to apply the principles and tools of Positive Discipline, an Adlerian research-based philosophy, to working with groups of young children. They will also gain a deeper understanding of how young children learn, the importance of belonging and social and emotional learning, and how best to teach those skills in a classroom or care setting. Understand the motivation behind students’ misbehavior and how to encourage positive change. This Workshop provides professional development for Educators to use Positive Discipline in their school or classroom setting. There is an Advanced Training Track that is required to facilitate Positive Discipline in the Classroom activities with teachers or other school staff. For more information about Advanced Training, email act@positivediscipline.org. There is also an Overview of Training and Certification at https://positivediscipline.org/certification-overview. Positive Discipline Solutions can bring “Teaching Parenting the Positive Discipline Way” trainings to your organization anywhere in Canada and we also offer live trainings periodically throughout the year in Alberta, Saskatchewan and British Columbia. Plan to attend one of these upcoming trainings or contact us for more information.